Scott grew up in the suburbs of Boston, Massachusetts, graduated from Wayland, H.S. and then received his B.S. from Skidmore College in Saratoga Springs, NY. After graduating Skidmore, Scott had a successful 10 year business career in Virginia and New York City before he launched his journalism career. Scott landed his first journalism job in Yakima, Washington where he learned the business from the ground up... he was a complete "one man band" shooting, writing, editing, reporting and anchoring the evening news for KNDO-TV. After his time in Yakima, Scott landed back in Virginia as the morning and noon news anchor for WWBT-TV, the leading news station in Central Virginia. 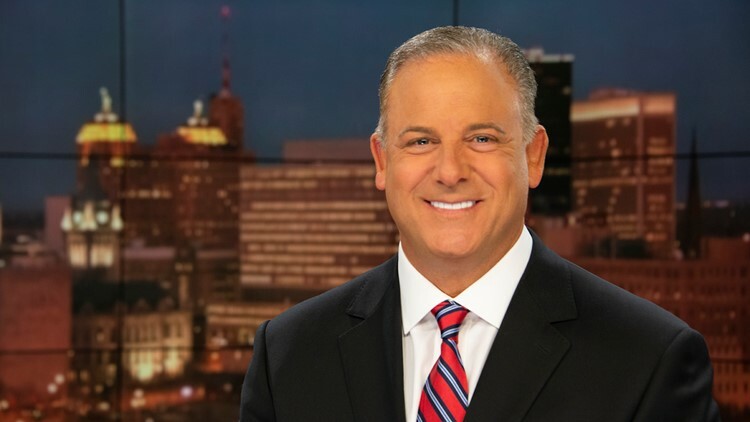 After five years it was off to Buffalo, NY to become the evening news anchor at WGRZ-TV where Scott contributed to making WGRZ-TV the overall news leader in the Western New York market. Scott is a multiple Emmy award winner and has also won a prestigious Edward R. Murrow award. WGRZ also won the 2011 AP award for station of the year, and numerous NYSBA awards for Best Newscast. Scott's favorite award of them all is being a husband and father. Scott met his wife Lisa while living in Buffalo, and they now have two beautiful daughters, Kayla and Sophia. Scott and Lisa live in Clarence Center, NY and love to give back to the local community that has given them so much, they can often be seen at local charity events. As for Scott... he loves to read, listen to Christian music, and spend time with his family.